In recent years we have been seeing a surge in arabian nights-esque fantasy, which I am 100% down with. With series like The Warded Man, The Golem and Jinni, and Throne of the Crescent Moon, lots of authors have been using desert lore to craft awesome stories. I personally think the world needs more badasses in a Middle Eastern setting and that I hope this new subgenre of fantasy continues to grow at its current rate. 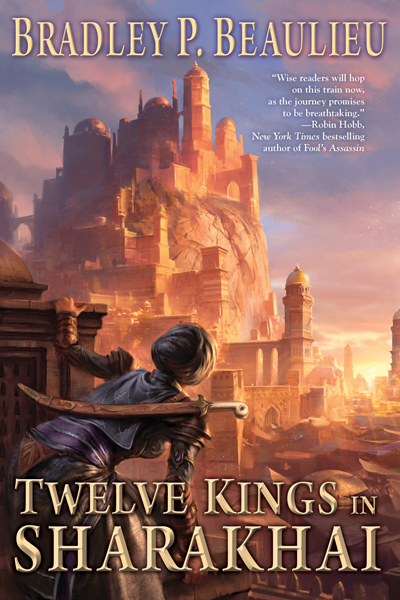 There hasn’t been a real contender for an epic fantasy yet, but it looks like 12 Kings in Sharakhai is stepping up to fill that spot. 12 Kings is the story of Ceda, Emre, and a variety of other side characters as they live in the city of Sharakhai – jewel of the desert. Sharakhai is a city founded by 12 kings of 12 tribes after they tired of wandering the desert in a nomadic style, and, instead, decided it would be better to set up shop. A large portion of the 12 tribes do not like this, due to the lack of respect for what they deem the correct method of living, and form a coalition of sorts to bring down the kings. Unfortunately for the coalition, the kings have aces up their sleeves such as multiple sects of fanatical warriors, some sort of undead lich minions, blessings from the gods, and their own unique talents and gifts making them rather hard to kill. In addition, the kings are rather brutal in their tyrannical ways, dealing out incredibly harsh punishments to those who break their strict laws. While I would certainly not call them evil overlords, they also could not really be described as benevolent. The kings are complex and interesting, and I really enjoy them as “villains” in this great book. On the other side of the coin, we have the aforementioned Ceda and Emre. Both are orphaned street urchins with vendettas against the kings. While they sound like tried and true fantasy tropes, I found both characters to be complex and interesting. Ceda is a pit fighter in Sharakai’s glorious fighting arena, where she battles for money and glory. Emre is a charismatic shopkeeper of sorts, who slowly uses his talents and winning smile to insinuate himself into the major factions at war. Ceda definitely takes the lion’s share of the limelight at the start of the book, but as the book progresses the time spent with various viewpoints balances out. The city itself is well developed and captivating. Each chapter teaches you more and more about customs and areas of the metropolis, and I found myself constantly desiring to see what was around each corner. However, I did have a major complaint about the story: the beginning felt extremely slow. 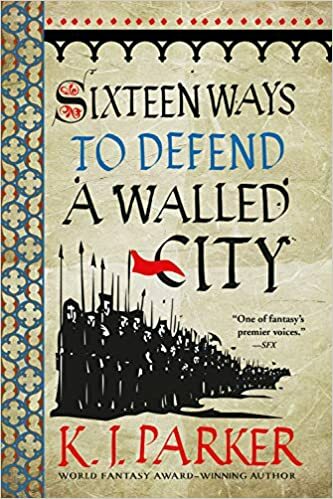 For the first fifth of the book I felt like I was slogging through a mess of detail and nuances about the lives of Ceda and Emre that didn’t really interest me. 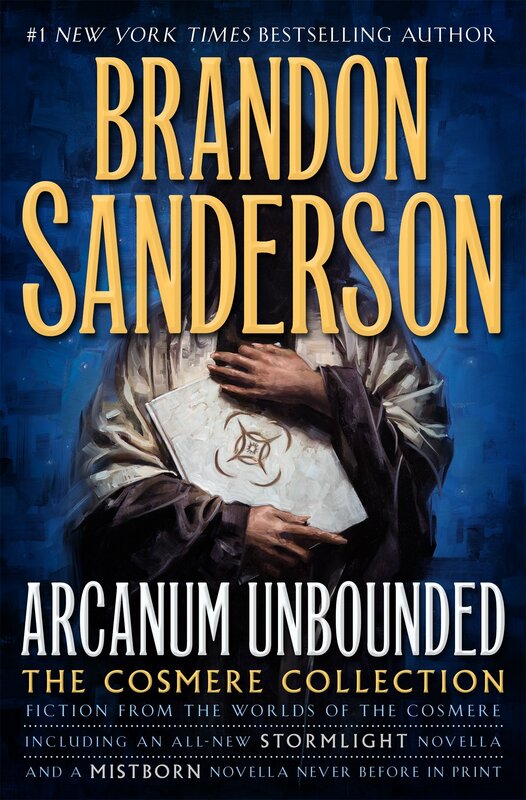 There were a few moments of brilliance in the beginning chapters, but the books did not really pick up for me until the reader is introduced to the kings at around 20% in. It felt kind of like reading Harry Potter, but lingering too long at the Dursleys. That being said, you are still getting a grand Arabian adventure. Once the plot picks up it really hits its stride, teaching you about the kings and providing some truly interesting mysteries. Poetry, which I usually dislike, is heavily featured as a plot point and used in an ingenious manner to further the plot and mystery of the book. Ceda is a great lead character, and provides me with a new example of a great female leads. 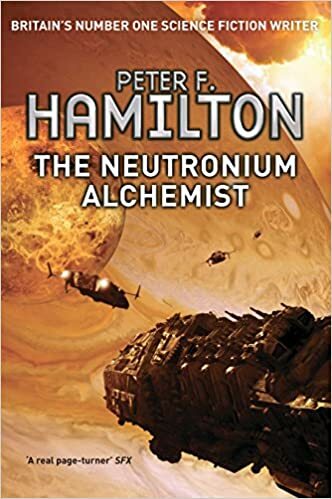 All in all, despite its slow start this book finishes as one of my favorites of the year and I will certainly pick up the sequel the moment I can get my hands on it.